Storytime, Art Projects, and a Free Book at Mini Masters! Join us on Saturday, April 6th at 12:00pm for Mini Masters and take home a free children’s book! Join for this special Mini Masters occurring during the Youth Arts Festival; a celebration of student creativity in visual, media, and performing arts. 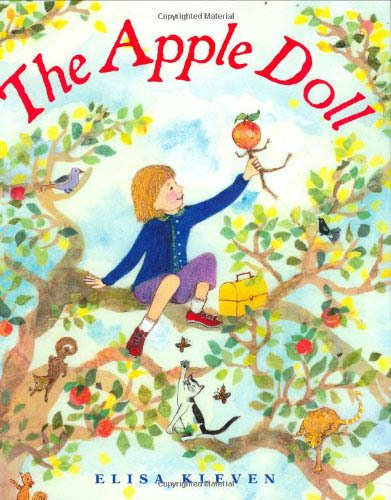 Start your inspired experience by hearing a read aloud, The Apple Doll, by Elisa Kleven. Then continue to grow your inspiration by viewing youth art works in three of the Museums galleries, as well as Nicole Havekost’s exhibition Massed, which features her Cooking and Sewing Doll Series. Then, work with art educators in the Youth Classroom to create your own felt board dolls and shadow puppets and have fun making them perform in the shadow puppet theater. Enjoy youth performances from various local schools from Noon-5:00pm. And visit Old Town Art Gallery to view more youth artworks. Carrying on the mission of the long running program, PBSNC Kids Club, this monthly workshop includes story time, tours of current exhibitions, literacy games and art activities! Designed for families of children ages 2-8, but all ages are welcome.